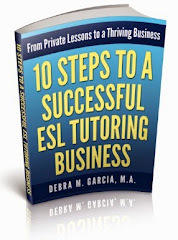 Really, anyone can call themselves an ESL tutor or teacher and find private clients. There are no licensing requirements (that I'm aware of) as there are, for example, lawyers. Of course, it is certainly a better selling point to actually have some training in teaching ESL. 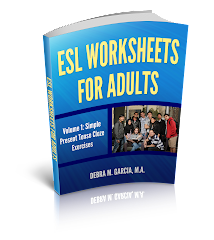 One way to get training to teach ESL to adults or to children is to take a certification course. When you start to look into certification courses, you find that there are two main certifications: CELTA and TESOL. CELTA stands for Certificate in English Language Teaching to Adults. TESOL stands for Teaching English to Speakers of Other Languages. Possession of either of these certificates shows that the ESL teacher has been through a certificate training program and has been taught the necessary "tools" to teach English. So which certificate is right for you? Personally, I have a TESOL certificate. Although I had the option of studying for either certificate, I chose the TESOL because that was the ESOL certificate that was more popular in the area in which I planned to teach. Thinking about where you want to teach and inquiring about the preferred certificate in the area is the approach I would take (and did) to determine which certificate to earn. I don't have a convenient list of all the TESOL training locations, but here's a thorough list of the CELTA course locations. CELTA: Is there any Value-Added? Is there any point in doing a CELTA qualification? Are you meant to be a fully fledged teacher before you start? A warning should be issued when starting CELTA in Berlin. There is a quota that must fail a certain amount of people for the others to succeed. At the Berlin School of English that was pre-meditatively decided before the course began. It is perhaps more accurate to call this qualification yet another exploitative rung in the ladder of TESOL. I remember I did not interview very well for the beginning of the course but was still selected. I did all my preparation work. Unfortunately, for me that quota system meant a complete waste of four weeks doing ball-busting work and receiving no benefit. From his reactions and attitude towards me I knew categorically that my tutor would fail me . At the beginning of my penultimate teaching practise I looked over and realised he had put a cross on my report sheet before I had even started the lesson. I think it is absolutely crucial that CU in ensuring fair parity in his marking film some of his student’s lessons to ensure he is not discriminating against anyone else. I regretted my own stoicism throughout all the indignities of the month of CELTA and would sometimes relay this to other colleagues. Even with a CU moderator arriving from Poland, the pressure of passing assignment based modules meant it was impossible to criticise the system, especially when you felt you yourself being discriminated against by an individual within that system. I remember that it was a very upsetting moment for me. I do not, however, feel that I should be goaded into public displays of distress by an instructor on the course. I was then told to stay in the room and ‘think about what I had done’ until most of the class had finished celebrating. This language was completely demeaning, especially since I had just completed a four week post-graduate course. It was reminiscent of a teacher telling a pupil off in primary school. Apart from the obvious heartache and financial restrictions this has caused me, I have accepted my primary aim now in writing a note of complaint is to stop such practice continuing against other CELTA participants. Be careful of the screening processes for CELTA. Be sure that you have the academic achievements and the financial means, and beware the cowboys in disguise. I would have to agree with you that there are some serious problems which made the course considerably more stressful than it should have been. Having spoken to teachers who took the course at other centres, their experiences regarding the overly critical tutors were NOT comparable with ours. I was unaware about the "quota" of teachers required to fail the course - is this to ensure the school continues to receive funding? That is interesting. I repost this elsewhere, as I too think it is important for potential candidates to be fully informed before parting with their hard-earned cash. I have been working as a CELTA tutor since 2000. Sorry but all this talk about "quota" of teachers required to fail the course is nonsense. Nothing like this exists and it is in the tutors' and centre's best interest to take on candidates who have good starting potential to work as EFL teachers and so to pass the course. Some of the unsuccessful candidates sometimes admit that they entered the course even though their gut feeling warned them against teaching. In other words, if someone doesn't have basic potential to work with people then no course is going to teach it to them. very interesting. They told me there was a 98% pass rate, but then 2 out of 6 dropped out. The latest story is that of those who complete the course, 98% succeed. interestingly, I was offered a "TESOL foundation course" rather than completing CELTA, and I refused. I suspect the offer will be made again. I would be interested to know the pass rate for people who have teaching diplomas, and for people who has masters' degrees in a language area. After completing a CELTA course in South Africa in the past couple of years, I can add a school to the list of those with problematic tutors. Over time I may add specificity to this complaint. Of the two tutors, one was hyper-critical, unprofessional, and at one point outright abusive. He raged and attempted to assassinate my character using a manner I have not seen since primary school. He also seemed to have chosen those students (young and pretty) he wanted to give higher grades to, and gave support and higher grades to them while doing everything in his power to sabotage the others' self-confidence. Some sub-grades on my post-course report (such as for lesson preparation and assignments) were so much lower than the feedback I received during the course, and from another tutor, that I am still considering making an official complaint to Cambridge. I would send them my photocopies of the written work and all feedback. Many other students felt the same way. The assessment of teaching practice is a more subjective arena, and one cannot request an external agent's evaluation for something for which there is no objective record. Previous and more recent students at this centre have experienced identical problems with this individual. As to responding to complaints, he explicitly threatened failure as a result. More subtle hints were given implying that to complain about a school would brand one as a trouble-maker, and negatively impact one's job prospects. I am posting anonymously because of this. This is purely subjective speculation, but the sense I got was that the distribution of grades meant that in order to give higher grades to his favorites, he had to downgrade their competition. Apart from outright marking down, the other means to this end is to sabotage self-confidence. After feedback sessions with this tutor, many past CELTA students were in tears, with their self-trust shattered. Several of the students I have spoken to have left this school not only with a negative experience of the centre, but also of the TEFL industry in general, and of the value of the CELTA in particular. These included local students, and those coming from abroad. Several were highly qualified teachers from other fields with at least as many years of experience as the abusive tutor. I would like know what others think of this situation, and what they believe should be done. Similar scenarios seem fairly common. Has anyone complained to Cambridge about such issues? Has anyone complained, been branded a trouble-maker, and had their prospects negatively impacted? Any opinions would be greatly appreciated! Thanks. I passed the course but found it highly distressing. I was treated in a very high-handed way.I was criticised and threatened because of "my bad attitude". It was exactly like being back at primary school and I hated it! Considering the amount of money I paid, I was very dissatisfied! Hi, I took the Celta recetly and I fell exactly like you described. I noticed my tutor tried everything she could to give me a hard time .. meaning she always assigned me the hardest lessons right from the beginning of the course, never replied emails and instead of being supportive would rather be extremely critical on my feedback. She is the main course tutor in this center and I felt just as scared of saying anything to the assessor as you did. I have passed the course but I feel I was even better that some of the students who were awarded a pass B grade. I wonder if I could write a complaint to Cambridge and claim a second evaluation. What do you think ? I took the CELTA course at International House Barcelona and found exactly the same kind of behaviour by certain tutors: harshness, seeming arbitrariness, ostracism of trainees, threats regarding referrals, etc. Some CELTA tutors seem to pride themselves on being ELT boot camp sergeants and use exactly the same tactics, most of which have no place in a professional classroom with adult students who pay to be there voluntarily and who want to succeed. It's a big flaw in the CELTA program that it does not sufficiently control the quality of and the variance between tutors. CELTA is a English-language-teacher-factory with quality control problems in its delivery system. And why are trainees not asked to evaluate (anonymously!) individual tutors at the end of the course? Customer feedback could lead to dramatic changes for the better in the program. And, most curiously, why are language students not asked to give anonymous feedback on their trainee teachers? Too much in the CELTA program is determined and controlled by the tutors, a situation which some abuse, and too little by the other affected parties, i.e. language students and teacher trainees. Although I learned a lot, I was very disappointed in my course and dissatisfied with the CELTA program as quality teacher training, primarily because of uneven delivery. I think we have an Orwellian system. People learnt by communicating, and all that school can give us is the experience of good dinner-table conversation. I suspect that the school system has been hijacked (even before Orwell's time) because the industrial system needed a lot (an oversupply) of people who would fail school and then be competitors for lowly paid jobs. One or more of the official CELTA books is written by someone who has also written on TESOL using terms such as "dogway" - I am beginning to wonder if his term "dogway" is a polite way of saying "canine excrement", and if he was asked to write the CELTA books in order to keep him on side. Some of the experiences are awful. Did you try to do something about it and what happened, please. Except for the failure quota, I had the same impressions of the CELTA course I took at The Language Company TLC in Baden Switzerland. It was like stepping back into the 19th century. I was appalled at the atmosphere and that course has quite a good reputation so probably the fault is with the Cambridge exam system which is a huge money-making venture. The tutors themselves are trained within the same Cambridge system. I decided to give up teaching; the whole thing was so completely demotivating. I got a post course report from the school which said "he looks nothing like a teacher". I had 1000 hours of classroom teaching experence, and the book we had for the course "Learning Teaching", by Scrivener, says explicitly "don't imagine that in order to be a teacher, you have to look like a teacher". I wonder if the tutor who compiled the school's report had read Scrivener, and if their comment is a garbled version of what is in Scrivener. The school report also said that maybe I should have been failed on one of the two essays that I was passed on. This is a very odd comment, and suggests that the tutor is a nut job. It is also suggested that Cambridge ESOL are morons for accepting this report. Very interesting, Richard. It does seem from what I've heard that the CELTA isn't worth the trouble they put you through. Yet, many people seem to think it is better than a TESOL certificate from other providers. (Perhaps Cambridge has done a fabulous marketing job!) I wonder if you'd be willing to share with my readers which particular school you went to? I've finished my second week of the CELTA. I think I've learnt a lot and it will help me if I can become a teacher abroad. The first week was fine. I did have some sleepless nights and was worried, but the first tutor that I had was very nice and encouraging. He did make some criticisms on my lessons, but I accept that as the whole point of criticism is to help someone improve. This week was tough as there was a change of tutors. I was very demotivated by my second tutor's feedback. I still passed the lesson, but in his feedback, the negative outweighed the positive. I had a lesson yesterday and I tried to make it as student-centered as possible as his main criticism was that my teacher-talking-time was high. During the feedback session, he nitpicked at my lesson a lot, he had very little to give in terms of positive feedback. I thought that it was more student-centered than the previous lesson, but he didn't acknowledge that. He said ''Oh there were times when you were at the computer when you should have been monitoring'' when in fairness I was checking the computer to see if I could open a page for students that would be displayed on the OHP and it wasn't available. I did pace up and down the room and I think that quibble was unnecessary. I wrote in my personal evaluation that I didn't echo back at students, but he wrote down "you did". Okay, that's partly true and I made some echoing mistakes but I didn't echo back as much as the other trainees. I remember when I was monitoring another trainee's lesson and I thought it was teacher-centered like mine and I thought he was going to face a barrage of criticism from the tutor and he didn't which is quite surprising. Good luck with the rest of your training. I hope that it will be a more pleasant experience for you and that you will get the training you need. In fact, I'm sure you'll get the training you need to be a great teacher. Just keep up the good work.